A Angle Iron or Lintel is length of steel or iron bent at a right angle along its long dimension, used as a support or structural framework. More times than not, when brick mortar joints begin to crack it is due to rusting angle irons which need to be replaced and the mortar repaired. Lintel is the original term used for angle irons. Brickwork and stonework over arches, garage doors, and, to a lesser extent, doors and windows, present a problem due to the weight of the material. Professional masons build steel angle irons into the structure to transfer the weight of the brick or stone above the opening to the side columns or side walls. The side columns and side walls are constructed on a firm foundation. Some arches and spans were originally installed with steel angle irons, columns, and supports that cannot adequately handle the weight of the brick or stone which cause cracking. In many cases, the angle iron starts to sag, and cracks develop in the brickwork or stonework. In many cases, the problem can be repaired by hydraulically raising the sagging portion and then bolting the angle iron to the header. However, in some cases, the brick or stonework may need to be disassembled and later rebuilt as part of the repair. Magic Stone is your professional commercial and residential masonry specialist. 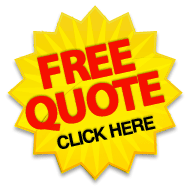 Contact us today to arrange for an onsite free quote! We look forward to earning you business!